THROUGH BOLD AND PROACTIVE PHILANTHROPY. Gulf Coast Community Foundation is a public charity that pursues big, bold ideas to transform the communities it serves. Gulf Coast and its work were highly regarded in the region and beyond, but its digital presence didn’t portray the extensive impact that the foundation and its donor's power has on the community. This hindered growth among new constituent groups and resulted in potential philanthropists being unaware of the true breadth of the organization’s mission and vision. Through our collaborative discovery process, we determined that audiences were challenged in finding information they were seeking. Furthermore, an array of different websites for various foundation projects had left the core message fragmented and disjointed. To streamline user experience, we built a new, self-administered platform in Drupal that could scale and adapt to meet needs for the different audiences across the foundation’s many initiatives. Bold, visual design and carefully curated visitor journeys led to a new information architecture and the cultivation of engaging audience-specific experiences throughout the site. 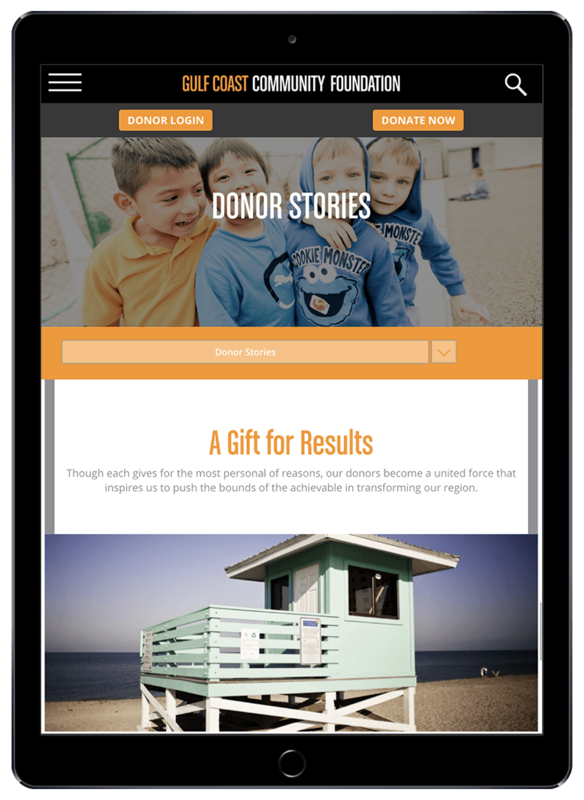 We transformed a complex user experience into a restructured and informative digital space for philanthropists, nonprofits, and community stakeholders. 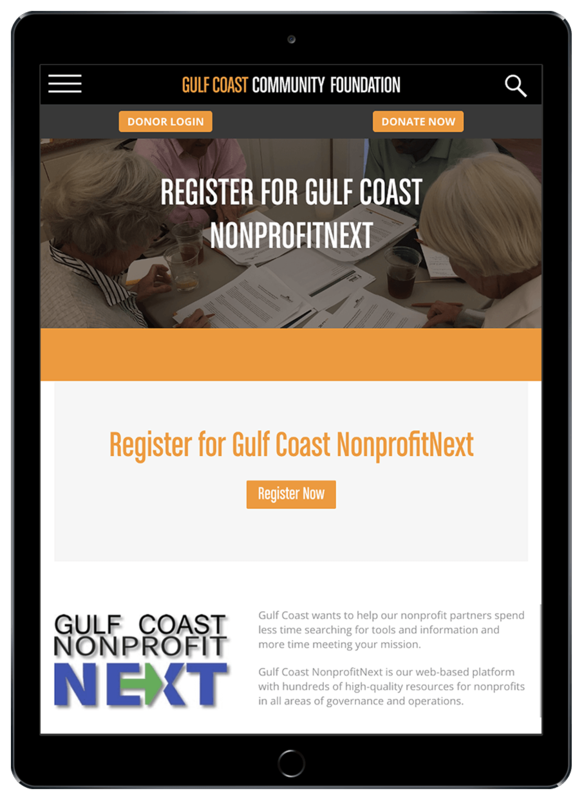 Immediate improvements after Gulf Coast Community Foundation’s new platform launch included streamlined communication with different audiences, enhanced digital branding in the community, and a more effective presentation of the foundation’s mission and capabilities to prospective donors. 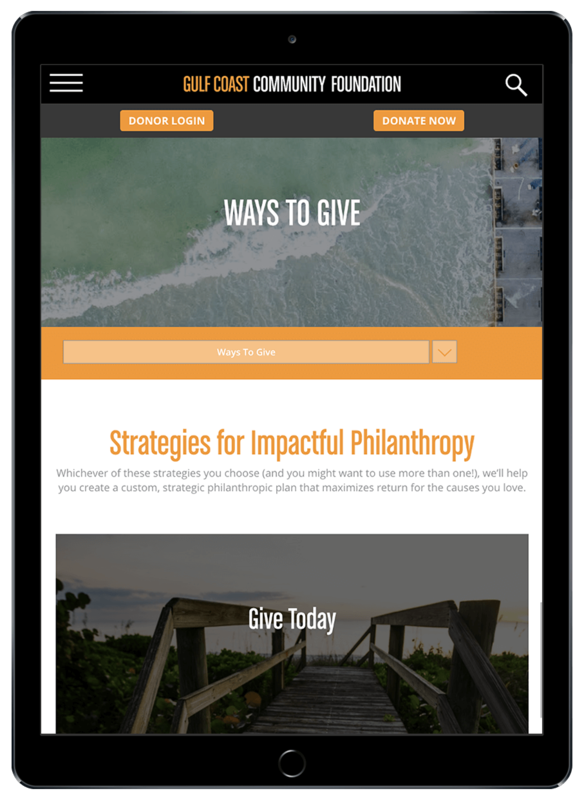 The foundation’s new digital presence has become a model experience in the philanthropic community by embracing simplified navigation, engaging content, and a modernized user experience.